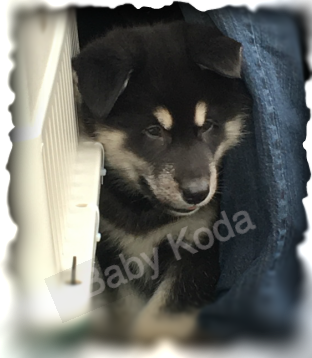 Koda peeking through the puppy door! 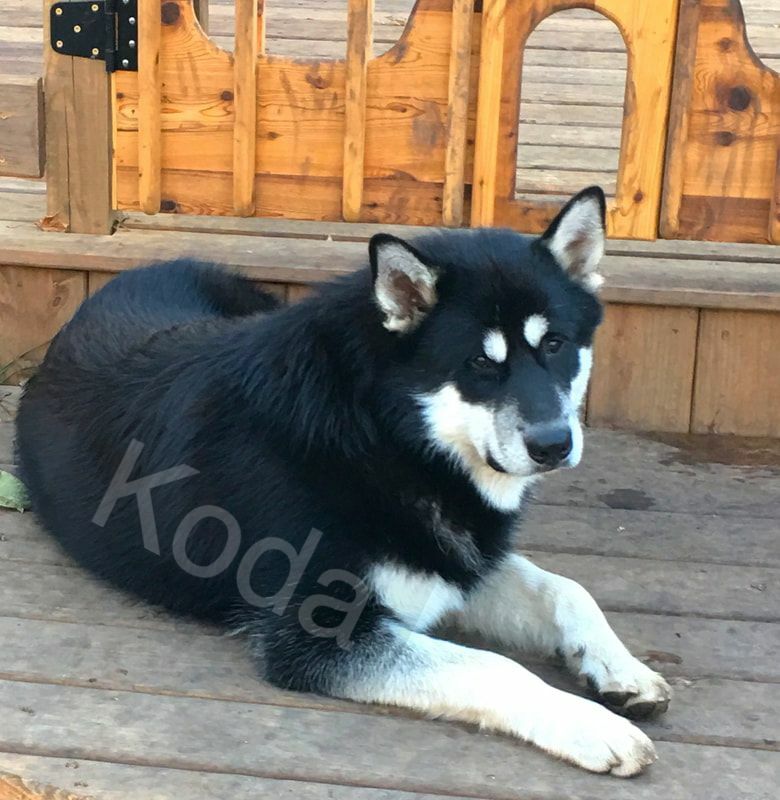 As you can see Koda started out black and tan......but he's turned totally black and white. He's the sweetest boy! !